New Westminster, BC – one-time capital of British Columbia, has dramatically changed well beyond the (still pretty impressive) bridal district and the (not-as-impressive) dollar stores and short-term loan outlets for which it had become known in recent decades past. New West has in fact undergone a profound transformation in the last five years into one of the most vibrant communities in the Lower Mainland. That transformation is ongoing. 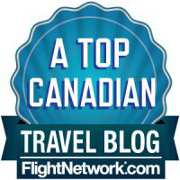 For the sake of travellers or even residents in the Lower Mainland who aren’t aware of the transformation, I thought I’d outline the places that I feel are some of the major examples of this shift toward the cool in this quietly stately, and increasingly hip suburb of Vancouver that is in the middle of a renaissance. Some of them are new. Some are stalwart treasures that have become re-imagined for a new era. Some are emblematic of what we can expect to see in the future of all cities like it. For many years, “The Westminster Quay Public Market” stood as a sort of Fraser River equivalent of the Lonsdale Quay market in North Vancouver. Then, it closed its doors and remained empty. But, as it turned out, it was just in a pupa stage for a transformed version of itself, which is more than just a place to buy fruits and vegetables (although you can do that, too). 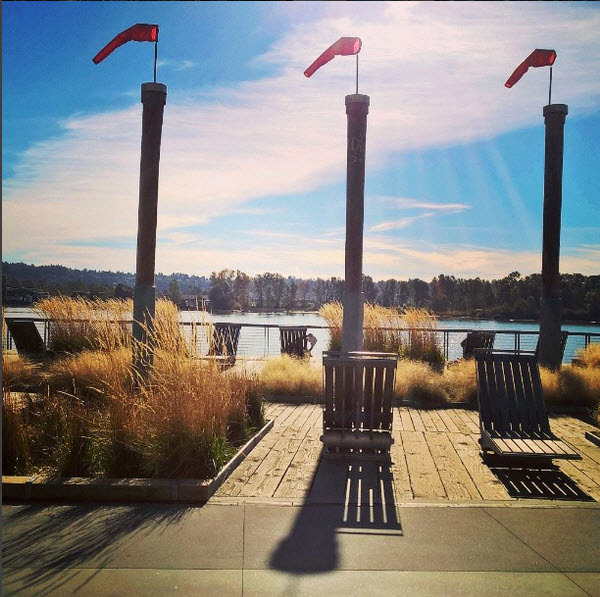 When it opened again in 2010 as The River Market, it became a true community center of activity, embodying the grass-roots and family-oriented vibe of New Westminster as a whole. 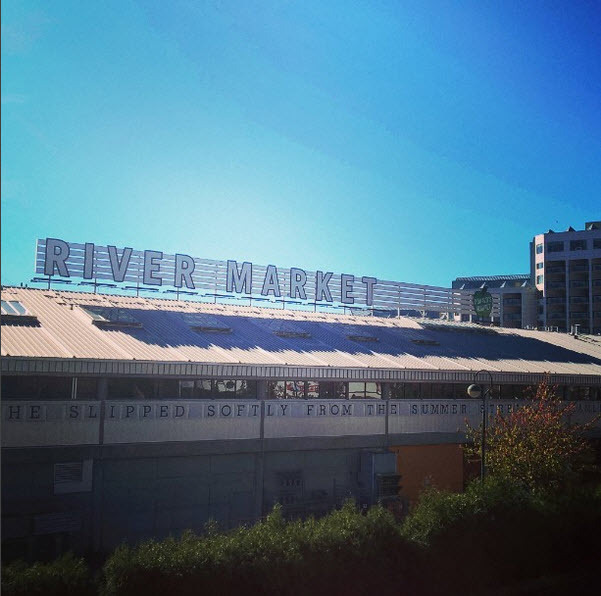 Located just as short walk over the tracks from New Westminster SkyTrain station and situated right next to the Fraser River, the River Market is an amalgam of all that’s good in New West. It’s a place to eat, represented by several restaurants and eateries (more on some of those below!). But, it’s also a place to find your community, with Mid-Century modern furniture sales, a ‘social’ flea market, a pub, a tea shop, a gelato spot, a grocery store, a circus school, a board games space, a children’s music centre, a professional work space, and so much more. It is even host to various community events and classes, including soap making classes, pottery workshops, a kid’s club, and beyond. 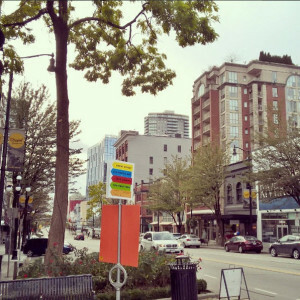 If you want to get to know your neighbours, get a feel for New West as a place to live, or you’re looking for a place locally to spend your time and your cash, the River Market is a good place to start. Those who are looking to live the car-less lifestyle while avoiding Vancouver rents come to New West to live. That’s how I came to live here; there are five SkyTrain stations in New West alone from 22nd Street station to Braid. 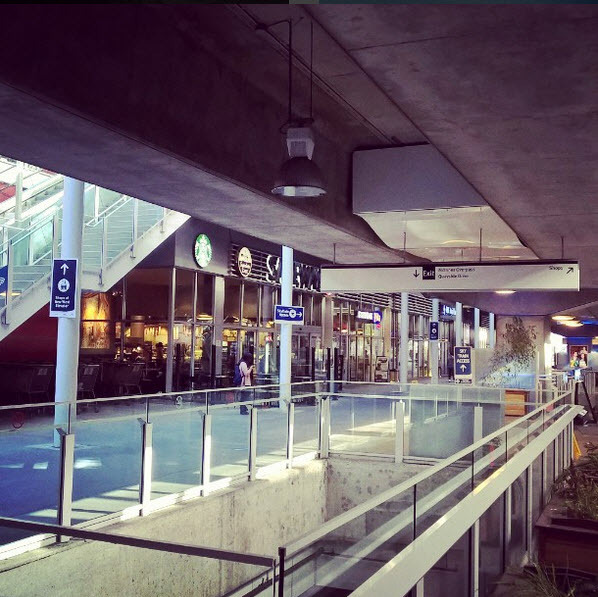 Much like the River Market, New Westminster station proper underwent a major transformation to accommodate all of the new people coming to live in our city. Now, you can buy your groceries, do your banking, get a quick bite or take in a long and leisurely meal, and even see a cinematic blockbuster before hopping on a trains to points east or west. In this way, the new New Westminster station and Shops At New West have redefined what a 21st century transit hub should look like in the Lower Mainland; lots of varied human activity in one well-lit and secure place that is more than just an in-between place from point A to B. You can even live there, as many rental and condo buildings are being built around the station even now for those who like to be where the action is. As of this writing, the station is undergoing further construction to make it more accessible to all. I’d like to see more transit hubs taking on this strategy for community engagement, commerce, and travel all-in-one that is friendly to pedestrians and transit-users. Because that is the future. The concept of community, commerce, and culture as they all flow in and out of each other is a central one in New Westminster. Nowhere is this more apparent than the newly created Anvil Centre on the corner of Columbia Street and Eighth Street where a collection of old and faded retail spaces once stood. Designed to attract interest that extends from local to the international, the Anvil Centre serves as a convention centre, concert hall, museum, art gallery, arts space, town archive, office spaces, and a visitor centre. Recent events held at the Anvil Centre included hosting the Northwest Fanfest this past May, that had our downtown populated with extravagantly costumed sci-fi/fantasy/gamer/comic fans. The event was kicked off by New Westminster mayor Jonathan X. Cote himself, letting his geek flag fly for the colourfully-dressed throng that descended upon New West that day. Other events at the Anvil Centre have centred around topics as diverse as local history, architecture, photography exhibits, culinary events, and beyond. For multiple day business events, the Anvil Centre is very central to overnight accommodations at Inn On The Quay, and of course to transit. Even though New West is very locally-oriented in spirit, the Anvil Centre represents a world-class multi-purpose facility right in the heart of the community. The waterfront at New West is a key attraction. At one time, it needed a lot of love, particularly at the northeast end of the pier under the shadow of the Pattullo Bridge. But, just like all of the above features and locales, the pier underwent a fantastic transformation. In this case, the space went from sad waterfront decay into shining jewel on the Fraser in the summer of 2012. The new green space mixes up all kinds of human activity along a scenic stretch of river, combining playgrounds, quiet spaces for reflection, visual representations of local history both in images and text, and even a place to get a quick lunch in the summertime at Wally’s Burgers. 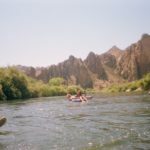 There are a myriad of adjustable benches where you can stretch out, read a book, boat-spot, or just watch the river flow. Further down to the Patullo end, you can do the same in one of the hammocks installed there. That’s right by the urban beach volleyball courts, where you can spike and bump to your heart’s content, and not too far from the basketball hoops. The Pier Park makes for a fine starting point, or ending point, to a walk along the quay. That takes you along the edge of the river, past the River Market, under the Inn On The Quay, and around the bend to a line of condos that look out onto the river. For joggers, dog-walkers, and everyone who likes to be near the river, the riverside green has created a people-centric, mixed-use destination that is welcoming to travellers and locals alike. Serving as the city’s historical downtown ‘main drag’, Columbia Street has gone well past its role as host to the bridal district, which is still a defining feature, but now one among many. In addition to specialty stores and chain establishments, in the past year Columbia Street has served as an important staging ground to street festivals which include the third annual Columbia StrEAT Food Truck Fest, and New West Pride Festival, just to name two. These events have brought the street to life, making the diversity that is growing steadily in our city very visible indeed. These events are in addition to the annual Christmas Parade, which means that the traditional is preserved alongside the new. In addition to the events side of things, new shops and restaurants that reflect this transformation is another indicator of an evolving city that’s broken out of its image as being faded and (let’s face it) kind of grubby, too. Those days are gone. A comedy club, a vegan health food store, a loft furniture store, a nightclub, and a pub/music venue is just one cross-section of the kind of business ventures you’ll find on the redefined Columbia Street, a street full of life and diversity to reflect the city it has served so long as a main street. Steel & Oak is more than just a successful, New Westminster-based local brewery. 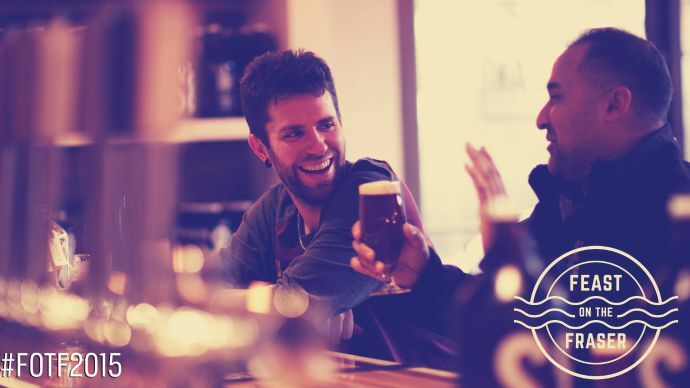 It is a local success story that represents a transformation in the city, with locally-made beer being a part of a healthy shift toward a subculture based around the love of craft beer, and the simple pleasures of food and drink itself. Steel & Oak beer is available in a number of the local establishments in the surrounding area, with enthusiastic owners and employees serving as ambassadors to high-quality, reasonably priced beer in partnership with culinary events around the city, including food trucks that can be found parked nearby. These people love beer! You can taste it. The brewery also has a tasting room out in front of their operations on Third Street at Stewartson Way, the location of a light industrial stretch of storefronts that hasn’t always attracted tourists. 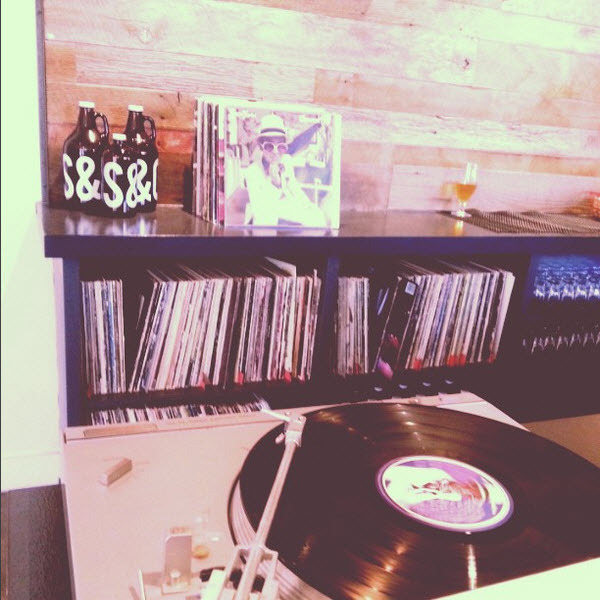 In addition to making some of the best beer you’ve ever tasted, they also spin classic vinyl as you drink it. And (when I was there) they took requests. Because their brand is so aligned with beer culture, the modestly-sized tasting room is occupied by people who love beer as much as you do! It’s a place to find your people! My advice; take that walk along the Quay as mentioned above. Go right to the end and take Quayside drive as it rises, turns and becomes Third Avenue. There’s a fine pint at the end for you at Steel & Oak. I don’t mention Steel & Oak just willy-nilly. 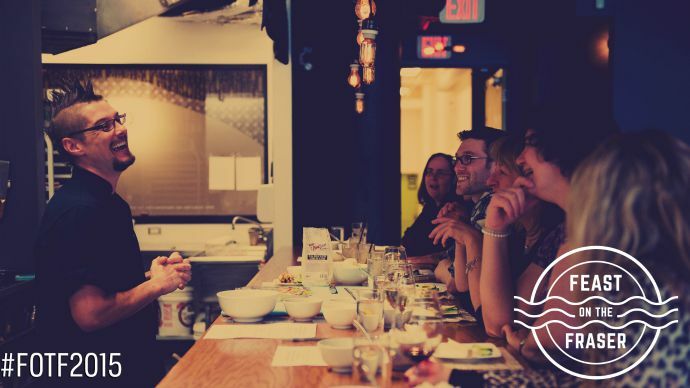 It’s a fine example of what is happening in New West right now when it comes to the appreciation and community culture around food and drink. The recent Feast On The Fraser series of events is a pretty good indication of this. There are a number of places to eat here in the city that represents an explosion of diversity, and carrying with them the same spirit that centres around quality, but also around the passion of what good food and drink means to the people who live here, both in the making and in the indulging. Here’s my selected and not comprehensive list of personal New Westminster food and drink favourites in no particular order. Thai New West – Maybe my favourite sit-down restaurant in the Lower Mainland. It’s located in sleepy Sapperton, and with a menu that celebrates the beautiful simplicity of fresh ingredients, relaxed atmosphere, friendly service, and memorable evenings out. Longtail Kitchen – My other favourite Thai restaurant, featuring (among other things) legendary fish balls that are beyond amazing. Located in the River Market, this is casual dining that proves that even a quick bite doesn’t have to mean a forgettable one. The Heritage Grill – The Heritage Grill is an institution, serving as a pub, a restaurant, and a music venue (there’s live music there every day!) all at once. It’s also something of a community gathering point, hosting events from a weekly ukulele club, to drag shows, to open-mic nights. They also serve a mean brunch. Angelina’s Restaurant – Open for breakfast and lunch, Angelina’s is a family-run location for Dutch dining, and beyond. When I feel like an eggs benny, this is where I go. But, try the authentic pannekoek. And the coffee. Don’t forget the coffee! Pacific Breeze Winery – Just as Steel & Oak represents a grass-roots approach to beer, Pacific Breeze Winery does the same for the grape. The two establishments are even in the same area at Third and Stewardson. Go for a tasting after your walk on the quay, and be advised by people who are passionate about wine before buying a bottle (or two) for your table tonight. The Terminal Pub – Also something of an institution. A few years ago, it underwent a transformation of its own, even if the exterior stayed the same. What also underwent a transformation was their take on what “pub grub” means, which pays attention to the palate. Just because you’re there to watch the game, it doesn’t mean you also don’t want to eat well. Spud Shack – There is magic to be found in the humble potato. And Spud Shack has unlocked it. Fries, poutine, fish & chips, and some truly substantial burgers await you, literally just off of the SkyTrain. Also, the Spud Shackers understand beer, and how nature made it to drink while paired with various forms of potato-ey goodness. 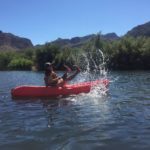 Re-Up Barbecue – When was the last time you had a pulled pork sandwich that changed your worldview? Located conveniently at the River Market, Re-Up Barbecue has the sandwich for you. And fried chicken. And ribs. And brisket. Meat lovers; run, don’t walk! Wild Rice – For fusion cuisine as created from local and ethical sources, Wild Rice doesn’t put on airs, or charge the earth. 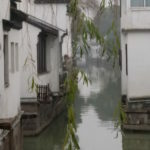 Dining here, it becomes obvious that the menu is guided by a thread common to the city’s cuisine as a whole; that enjoyable meals don’t have to be complicated. They just have to be tasty – and memorable. Royal Tandoori – The thing I love best about Indian cuisine is that the dance of flavours is right up front, complemented (and not outdone) by some heat. All of your favourite dishes are represented at Royal Tandoori, located in an unassuming spot in Sixth Street, with adjustable heat levels to suit your tastes, and with vegetarian options, all with eat-in or take-out options. Old Crow Coffee – Not just a coffee shop, but a location that has ignited interest in New Westminster’s Antique Alley District where it is located. With a hipster vibe without the snobbery, Old Crow also serves grilled sandwiches that make for the perfect brunch/lunch item to accompany your cuppa joe. Also; they play good tunes while you eat. That’s pretty important, right? Renaissance Books – a favourite used bookstore for books in print, out of print, comics, graphic novels, and more. I love the smell of well-loved books! So do you, right? Brick & Mortar Living – an elegant and tasteful selection of home decor products. Also; they have an official store dog; Begbie. Go and pet him! And look for a little something for the mantelpiece, too. Board Game Warriors – for boardgames of every description, Board Game Warriors on Clarkson Street is a hub for the growing community of dice and cardboard-style gaming here in New West, and in the Lower Mainland in general. Queen’s Park – an uptown New West community gathering point for sports, wildlife, live theatre, kid’s activities, and more. From Victoria Day to Labour Day, there’s even a petting zoo! Moody Park – another uptown green space for kid’s play areas, a water park in the summer, an outdoor swimming pool, sports fields, a brand new dog park, and more. 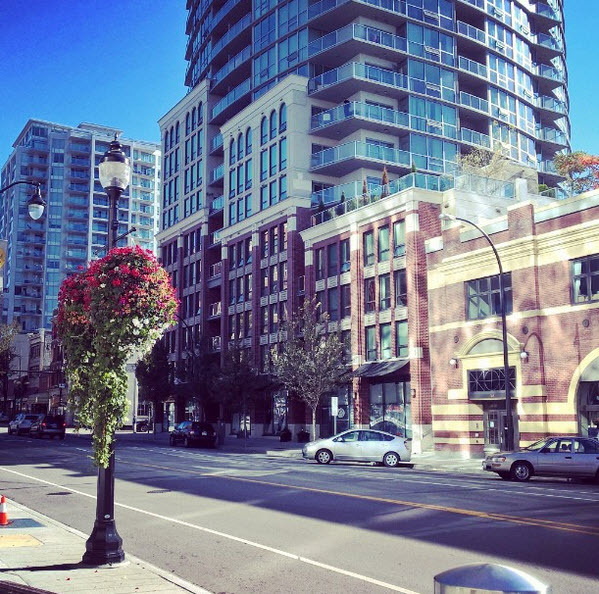 ‘Sixth & Sixth’ – a vital junction of similarly-named streets – Sixth Street and Sixth Avenue – that defines uptown living in New West. There is always life on the streets here with a number of eating places and specialty stores along a traditional main street, plus Royal City Centre Mall for the more indoor-oriented shopper. It’s also the site of several parades and music festivals (like Uptown Live) throughout the year. Samson V Maritime Museum – this steamship traversed the waters of the Fraser from the 1930s to the early 1980s. Now it serves as a floating Maritime Museum that you can tour by donation. The suburbs of world-class cities don’t have to be places to retreat to until you can get back to the city again. They don’t have to be boring and lifeless, designed for cars and not people, or feature nothing but shopping malls and big box stores. They can represent a unique brand of hip and community-oriented small-town living instead that you can explore on foot, by transit, or by bike. They can appeal to the senses, and to the imagination. They can represent the diversity of the community, and serve as examples of the positive shifts that happen when spaces are created to give everyone a place to gather, interact, share passions, and be active in creating a spirit of cooperation where local businesses and local people champion each other to make for a better place to live, work, learn, and play. 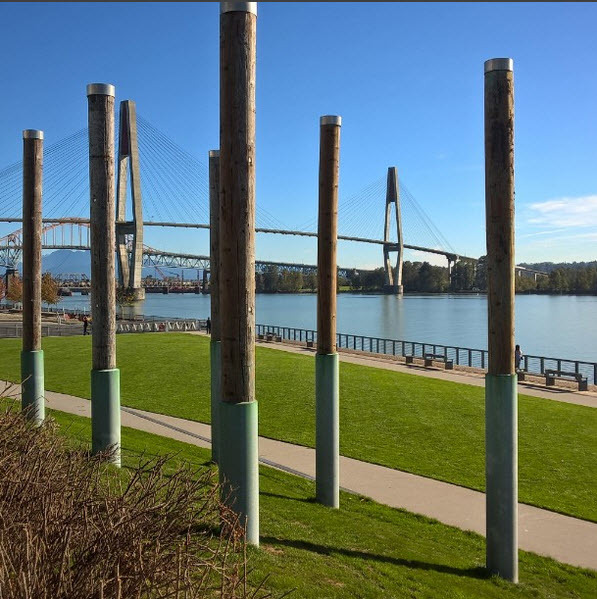 The features listed above serve as examples of how New Westminster is transforming itself, with the help of its officials and its citizens. 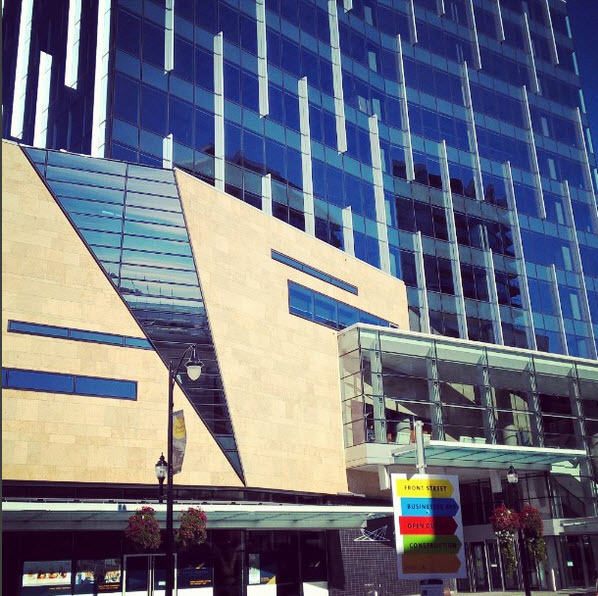 It’s not just the new stores, restaurants, facilities, events, and amenities that go to prove this. It is the infusion of new ideas as originating from highly engaged people who live here, upholding the values of community, passion, industry, and by the idea that opening oneself up to simplicity, practicality, and elegance can unlock the imagination for what it means to build a city of the future. 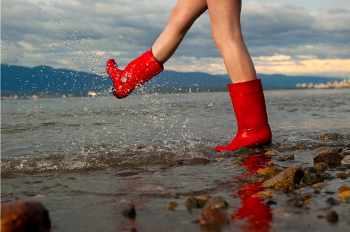 What have been some of your adventures in New Westminster? What impressions do you have of the city and how it’s changed in such a short span of time? Tell us all about it in the comments section below! Wally’s Burgers is no longer operating the concession stand at Pier Park. It’s certainly an evolving place. The Comedy club is now at the Columbia Theatre. I think it was on 4th originally. Wally’s Burgers is a seasonal location we’ll most likely see open again when the weather gets warmer. As for the other places, I think some of them were affected by the fire on Columbia street last (?) year. Up from the rubble of that, we can expect to see more positive transformations there. I still remember Pacific Breeze Winery, and I love that place! The local brewery sounds awesome. I will need to definitely visit Steel & Oak. I really enjoyed this. Thank you so much. I think the pictures are amazing.